Thought the Canberra club was starting to promote it . All systems go on the Nationals. Not that I am a member of the club anymore but I know first hand it is all booked in. 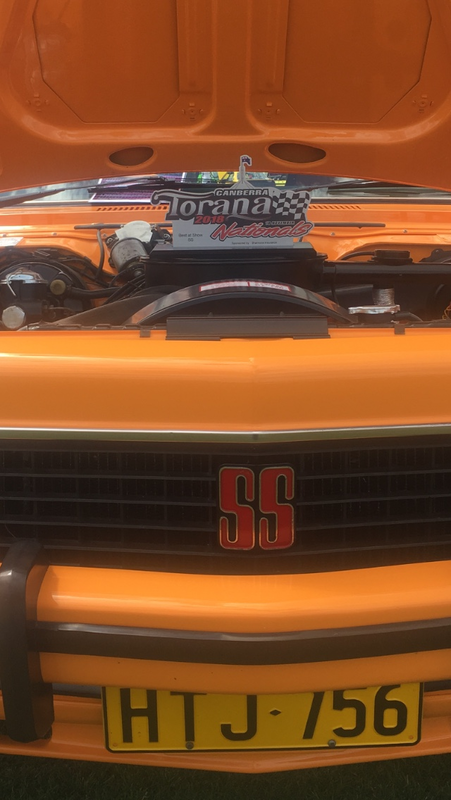 Go onto the Torana Nationals website for more info. Pick me up from the airport in ya UCVP mate ? Ima going; plenty on FB about it. Here at the moment and is a fantastic event. I’m here too come and say g’day. Hey Liz, all these car shows you get too, are you there as a worker or spectator ? I’m here with my hatch as an entrant. Hometown event next weekend for the V8s at Newcastle but still taking a few days off for that one. thanks to Skap, Paul and others. Edited by Liz Clare, 18 November 2018 - 04:57 PM. Edited by N/A-PWR, 18 November 2018 - 07:36 PM. Now that’s a name you don’t hear everyday. Did he ever get around to buying a Torana? hope you had a great time, like all others too. Edited by N/A-PWR, 18 November 2018 - 08:53 PM. Too far for me mate. I think it’s a three stop plane ride to get to Canberra. Lucky we have Skap to help out hey. He always was a good fella. Was a great event at a fantastic venue. Orange LC with orange and black houndstooth may just have swayed me from an all black interior.